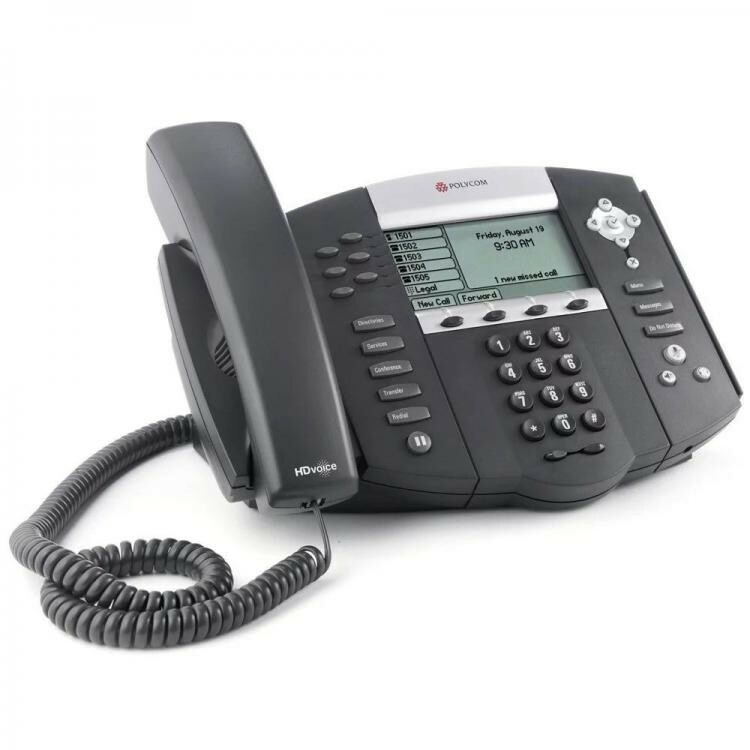 The Polycom Soundpoint IP 650 HD Voice phone is an IP ready 6 line desktop phone that provides HD Voice technology. Wideband audio and two way conversations with full Duplex allow excellent acoustic clarity. The Polycom SoundPoint IP 650 HD delivers all of its capabilities through an intuitive user interface, featuring a high-quality backlit 320x160 graphical grayscale LCD display, an easy-to-navigate menu, and a combination of dedicated keys and context-sensitive soft keys for one-button access to essential telephony features.